A 1:1 replica of the CM125 pistol, the CYMA CM125 USP electric pistol is a must-have for those who hate carrying CO2 cartridges or gas tanks to keep the BB gun operational. The electric BB gun is compact and has a rubberised handle, which gives you a steady grip, making it ideal for target shooting practice in a controlled environment. Whether you want this pistol for your own BB gun collection or for gifting it to a friend or a family member, the CM125 electric pistol will not fail to impress. The electric pistol by CYMA may seem pretty small at first. But don"t let its looks deceive you. The CM125 has an FPS of 200 and weighs a little less than a kilogram, because of its aluminium and ABS plastic outer shell. The exterior of this pistol is made of re-enforced ABS plastic, which makes it durable. The full metal slide adds a little to the weight of the BB gun, giving it the ideal weight that lets you keep your hand steady. The pistol has a magazine capacity of 30 rounds and an adjustable hop-up along with a 7.2v battery and a charger. The compact pistol also makes for an excellent secondary weapon in skirmish and paintball games. Cheapguns.co.uk also offers protective safety gear for the users. Buy the finest quality masks, protective eye gear and vests that keep you safe and active on a skirmish ground at any time. 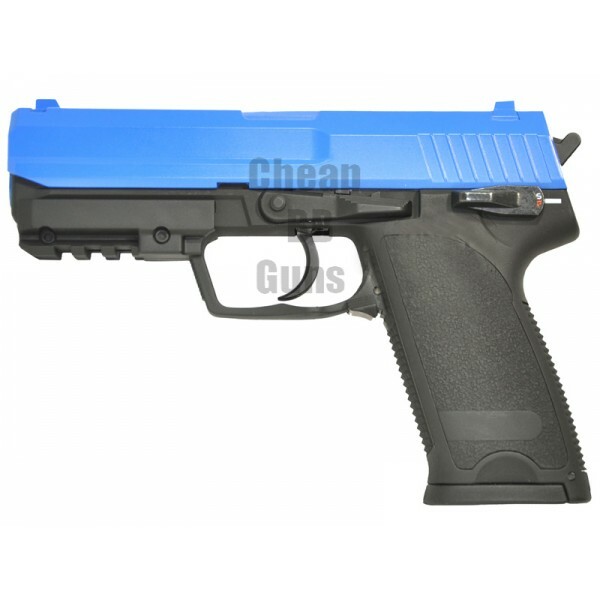 The above product description is the sole property of cheapbbguns.co.uk. Unauthorised use of the material, in whole or in part, will amount to copyright infringement, giving cheapbbguns.co.uk the right to pursue legal action against the infringing party.